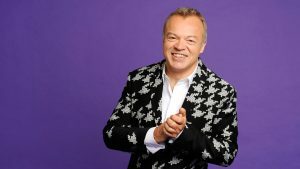 Graham Norton has been named as the joint host of BBC Children In Need 2016 alongside Tess Daly, Greg James, Ade Adepitan, Rochelle Humes and Marvin Humes. This year’s appeal show will take place on Friday November 18th, live from the BBC’s Elstree Studios on BBC One. Last year, ill health forced Wogan to miss hosting the event for the first time in its 35-year history, and he subsequently died in January. Children in Need is now largely operated from MediaCityUK after a move in 2014. The Children in Need Appeal Show is a BBC Studios production, executive produced by Clare Pizey and Paul Wright and the series producer is Leanne Witcoop.